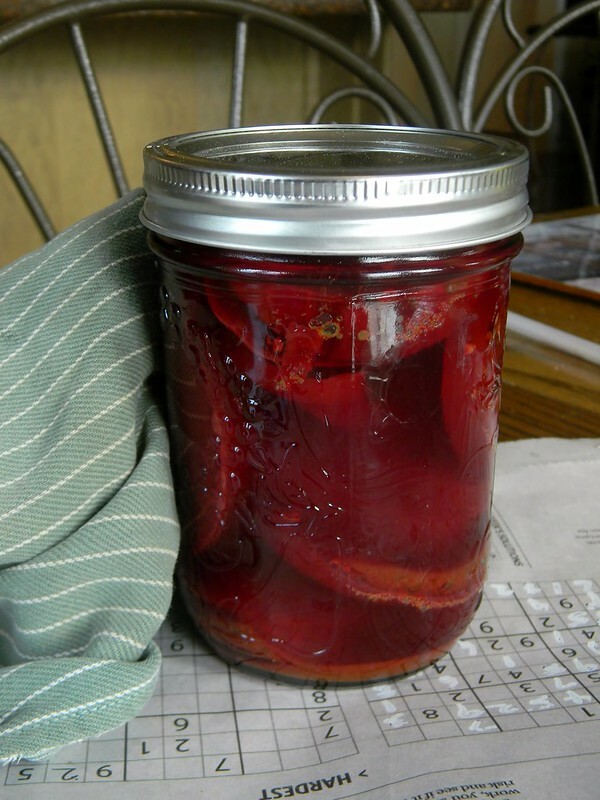 Sweet and Tangy Pickled Beets | What Smells So Good? You know, with all my yakking lately about zucchini this and zucchini that, it's easy to think that the squash is the only thing my garden blessed me with this year. While the zucchini, eggplant and cucumber were definitely the most abundant crops we had this year, colder-weather treats like my heirloom carrots (yellow this year!) and beets are just coming into their prime and I couldn't be happier (we did get a few tomatoes this Summer, too, but the weather was too wonky for a sizable harvest). While the carrots are definitely my go-to sweet and crunchy snack during the day, the beets are my pride and joy - this year I grew a variety called Lutz, a heritage breed that stays rich and tender even when it gets to it's average size of 5-6" wide! Not only are their roots delectable, but the greens (especially those from thinning early in the year) are perfect leafies without any of that minerally bitterness I normally associate with dark greens. Wanting to save some of my bounty to share with others this Christmas, I opted for the most classic preservation method for the roots: pickling. To jazz them up a bit, though (I am the first to admit standard pickled beets are, well, blah) I raided my pantry and spice cabinet, spiking the vinegar brine with dark, luscious honey, BC red wine, cinnamon, allspice, black peppercorns and turmeric. Roasting the beets brought out their natural sugars for contrast, and once canned they were shelf ready to last the Winer (or at least as long as it takes for us to get through them!). The colour is as rich as the flavour too, providing a gorgeous addition to any gift basket this year that only tastes better the longer it sits on the shelf. Wrap beets in foil and place on a cookie sheet. Bake 30-45 minutes, until tender. Cool until you can handle them, then peel and cut into eighths. In a large pot, combine vinegar, wine, honey, sugar, salt, cinnamon, allspice, pepper and turmeric. Bring to a boil. Add beets and reduce heat to a simmer. Cook 5 minutes. Ladle into pint jars (top off with more vinegar if needed) and seal. Can in a waterbath 30 minutes. Let sit at least 2 days before enjoying - these get better as they age!